Hi Friends, I am sharing some hard hitting and hits Sunny dialogues of movie Damini. This is a 1993 crime drama film directed by Rajkumar Santoshi starring Meenakshi Sheshadri in the title role alongside Sunny Deol, Rishi Kapoor, Amrish Puri, Tinu Anand, Paresh Rawal in pivotal role and Aamir Khan as special appearance. The story is based on how a woman fights against society for justice. The film is considered to be the best woman centric film ever made in Bollywood along with Mother India. 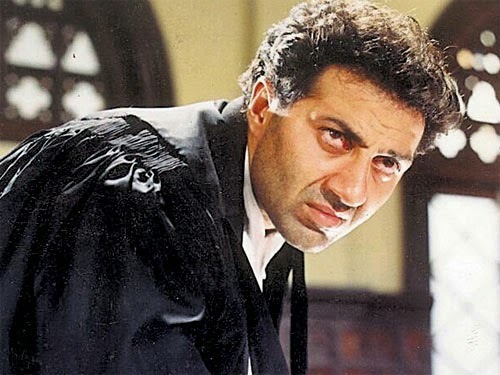 Sunny Deol has played a famous layer he fights for justice in this movie. There are so many beautiful dialogues are delivered by all actors like Sunny Deol, Rish Kapoor & Amrish Puri. 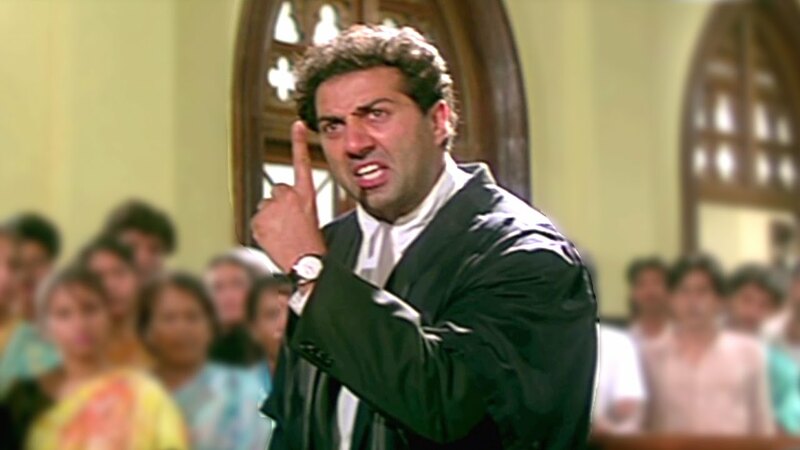 In movie Amrish Puri also played a role of lawyer but he fights for wrong people. Sunny Deol delivered many good dialogues about all dialogues are very famous and popular. Here in this post I have collected some best dialogues of Damini Hindi film.
" Sach bolne se kabhi kisi ka nuksaan nahi hua hai ... aur na hi ho sakta hai "
" Duniya ki har adaalat se badi ek adaalat hai ... woh hai insaan ka apna zameer "